Q: Where can I get an MSDS Sheet for the DTG Pretreat fluid? A: You can either download it by clicking here or ask your distributor to provide you a copy of it. Q: Will the DTG Pretreat fluid work on other types of garments (i.e. stain resistant clothing, bamboo, nylon,…)? A: The answer is Maybe. As mentioned above, garments can be manufactured in different methods, use different material and can be coated with different chemicals. There are multiple variables that can determine whether the pretreat fluid will provide a desirable result. We strongly recommend a print & wash test on all new brands of garments to determine the optimal amount of pretreat fluid. Q: Can you spray the pretreat fluid while on the platen of the printer and print on the garment without curing the pretreat fluid. A: No, you do not want to spray any type of fluid on the platen as it too close to the other components of the printer – including the electrical parts. We have tested printing on a garment that the pretreat is not cured and the results were not better. So we recommend that a pretreated garment is cured for 20-30 seconds at 356 degrees F before the garment is printed. Q: Is it possible to apply too much pretreat fluid on a garment? If so, what will happen? A: Yes, you can put too much pretreatment on the garment. This can result in poor wash tests and possibly stain the garment where the pretreatment is applied. Q: Is it possible to apply not enough pretreat fluid on a garment? If so, what will happen. A: Yes, the results of the wash test will most likely show that the print will fade in a similar manner that a non-pretreated garment will. Q: How do I know how many times I should squeeze the trigger on the hand-held spray bottle to get the proper amount of pretreat fluid applied to the garment? A: The answer depends on the hand-held spray bottle you are using. Each one can apply a different amount of pretreat fluid. You can determine the amount of pretreat fluid applied to the garment each time you squeeze the trigger by using an empty, clean cup and a postal scale. Measure the amount of each spray by weighing a cup on a postal scale, zero the scale, spray into the cup 10 times and re-weigh the cup. Divide the total grams by 10 to determine the # of grams every time you squeeze the trigger. Q: What happens if the pretreated garment is washed with a brand new colored t-shirt? 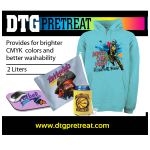 A: DTG Pretreat puts a receptive coating on the garment. Some brand new t-shirts will release the dye during the first wash. This dye can be react to the pretreat fluid and discolor the garment. This typically can happen when washing darker cotton garments and the pretreated garment for the first time. We recommend that new pretreated garments are not washed with other new garments. 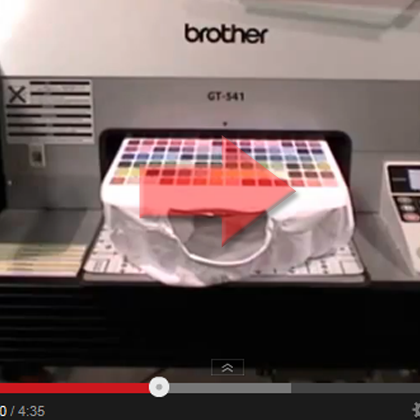 Q: Will the pretreat fluid help the ink bind to a fabric that has a chemical coating on it? A: It depends. We recommend that the user try heat pressing the fabric before applying the pretreat fluid to it. This might help burn off the chemical coating on the fabric and allow the pretreat fluid a better opportunity to bind to the fibers of the fabric. Q: How is the pretreat fluid be applied to the garment? A: We recommend using a simple hand-held spray bottle that does a very good job of misting the fluid on the garment. You do not want large drops of fluid sprayed on the garment as this might over-apply the fluid on the garment in these areas. However, a user can apply the pretreat fluid using a high volume, low pressure (HVLP) sprayer or an automatic pretreat machine like the ones typically used to apply white ink pretreatment. You will still want to make sure that you are applying the correct amount of pretreat fluid on the garment. NOTE: Some testing will need to be done to make sure that the mixing of multiple types of fluid in the same piece of equipment is not harmful to the life span of the equipment. Please consult with the manufacturer of the equipment being used to determine whether it is appropriate to mix the different chemicals in the same piece of equipment and if so, what methods should be taken to keep the equipment running properly. Q: What is the pretreat fluid made out of? Is it the same as the white ink pretreatment? A: First off, the pretreat fluid is not the same as the white ink pretreatment and it is not water-down white ink pretreatment. It is a completely different mixture of chemicals used to create a unique, organic waterbased pretreat fluid. Q: Will this pretreat fluid also work on dark garments that are printed with white ink? A: This pretreat fluid when applied to a garment a cured does not leave as heavy of a hand as the white ink pretreatments sold in the market. This is because the DTG Pretreat fluid is not apply as much chemical solids on the garment as the white ink pretreatment does. 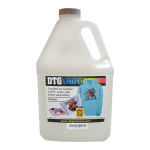 Because the DTG Pretreat fluid applies less chemical solids, there is not enough chemicals to hold the white ink on the top of the garment. Thus, the DTG Pretreat fluid is not designed as a substitute for the white ink pretreatment. NOTE: There are some users that have found acceptable results with the applying and curing of the DTG Pretreat fluid before performing their white ink pretreatment methods. We recommend that Print & Wash tests be performed before going into production with this type of printing as the results can vary depending on the garments and pretreatment methods used. Q: Does the pretreat fluid have a smell to it? A: No, the pretreat fluid is basically odorless and is clear. Other fluids will tend to have a strong smell to it due to the chemicals (i.e. formaldehyde,…) that use in them. This pretreat fluid does not contain them. Q: What is the recommended storage method of the pretreat fluid? A: Just like any other chemical, you will want to store the pretreat fluid in a cool to warm temperature – preferably out of direct sunlight. The chemical composition of the pretreat fluid is designed to resist the growth of bacteria like most waterbased products. However, you don’t want to store the chemical for extended period of time in an environment that would promote bacteria growth. Q: How many garments can be pretreated from a single bottle of DTG Pretreat? A: The number of garments will vary depending on the size of the pretreated area and the fabric content (i.e. 100% polyester, 50/50 blend, 100% cotton). 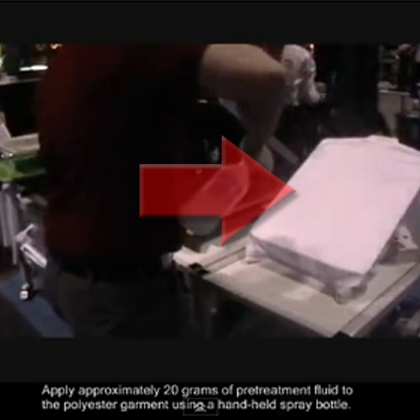 For example, if a 14” x 16” area is pretreated using 20 grams of fluid on a 100% polyester garment… the user will get approximately 100 garments out of a 2-liter bottle of pretreat fluid. For estimate purposes, one ML (milliliter) of DTG Pretreat fluid is equivalent to one gram. 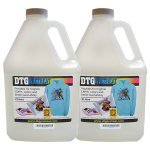 Thus, a 2-liter bottle of DTG Pretreat fluid contains 2000 MLs or 2000 grams approximately. For garments with a higher content of natural fibers (i.e. 50/50 or 100% cotton), the user will apply less fluid to the garments and thus will get a higher number of garments out of a single bottle. In addition, if the user is pretreating a garment for artwork that is smaller than the 14” x 16” area – the user will get more garments out of a single bottle.